I could also call this haul a "Bloggers made me buy it Haul" because most of the purchases have been influenced by some of my favourite bloggers! First of I went into Boots to take advantage of their 3 for 2 offer. For the last week or so I told myself that I really don't need any additions to my beauty drawer but in the end I just couldn't resist! There I got the Soap & Glory Flake Away Body scrub. It's great for exfoliating dry skin! I love how my skin feels after using it. And also it smells soo delicious! It contains peach seed powder, shea butter and sugar, as well as smoothing sea salt, grapeseed and almond oil. The whole pot of 300ml was £8. The second product I picked up was the Bourjois Délíce de Poudre. I've had my eye on this for some time now and now I finally brought myself to buying it! First of all it looks delicious - like a bar of chocolate (as you can see below). I must say I haven't tried it yet, but I read so many rave reviews so I think I won't be disappointed. I got the lighter shade of the two they offered. This product was £6,99. The third and final product was a quick decision as I ran out of my liquid eyeliner pencil a few days ago I had to get a new one. This time I decided to go for the Collection Fast Stroke eyeliner in black. It comes in a little pot and it's supposed to give precision and definition for your cat flick. I've used it a few time already, but I'm not sure yet if I prefer it over my pencil, maybe I just need to get used to it! This product would've been £2,99 but as it was 3 for 2 I got it for free! 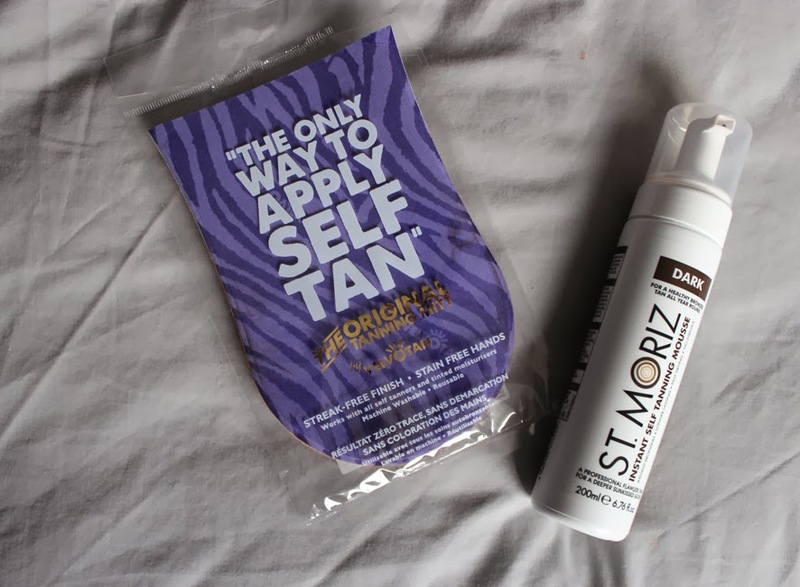 Next I went to Tescos to get the St Moriz Instant Self Tanning Mousse and a Tanning Mitt by Velvotan. These purchases I "blame" on Abby because after I read her blog post about her fake tan routine (read it here) I felt like I could use a nice tan as well. And that's that really! I haven't had the best experiences with fake tan applications (streaky legs at my graduation party UGH!) so I'm looking forward to trying this mousse and see if it works little wonders on me! The mousse was £4 and the mitt £2. I also picked up these two gorgeous shades of Barry M Nail Paint. The pastel blue one is "Mist 403" and the white pearl one is called "Pearl 401". They were on offer £6 for 2 nail varnishes so it was a no-brainer for me. I've been looking for a good pearl coloured nail varnish for some time now and I'm really happy I finally found it! Also I think you can't go wrong with Barry M products! For the last purchase from Tescos I fully blame on the whooole blogger community! 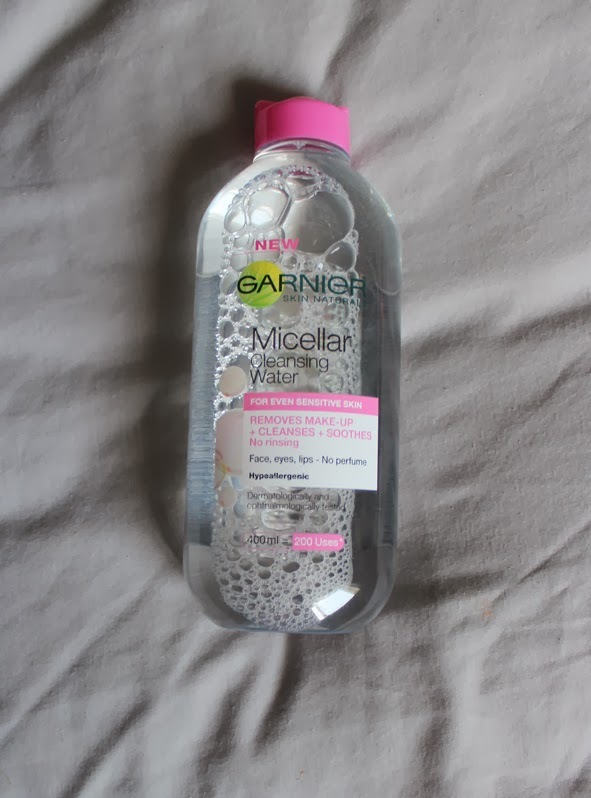 I hope I won't bore you if I tell you I got the Garnier Micellar Cleansing Water. Honestly, I didn't think I really need this in my life, but I gave in and wanted to give it a try! This 400ml bottle was £3,99. I might do a review on this product in the future - after it's tried and tested - so keep your eyes open! On another beauty shopping trip I went into Superdrug to have a browse around and spotted some things at the MakeUp Academy stand. First of all I got the MUA Pro-Base Eye Primer. 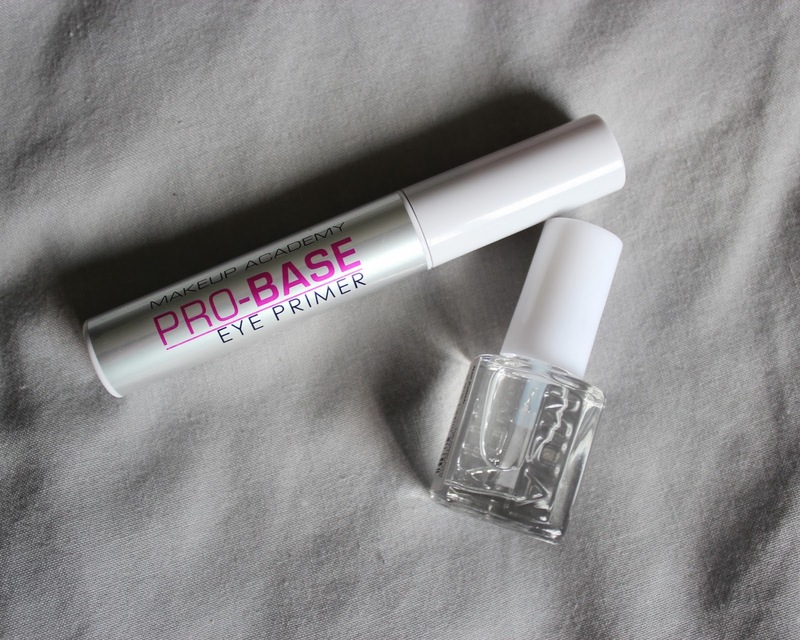 I never used a primer before so I was curious to try it and it was just £2,50. I also got a MUA Top Clear Coat nail polish for a pound - again a no-brainer. The MUA Pink Shimmer Kisses Blusher caught my eye and I just popped it into my bag. I contains 4 pretty pink blush tones which I think will be perfect for spring and summer! This product was £3. 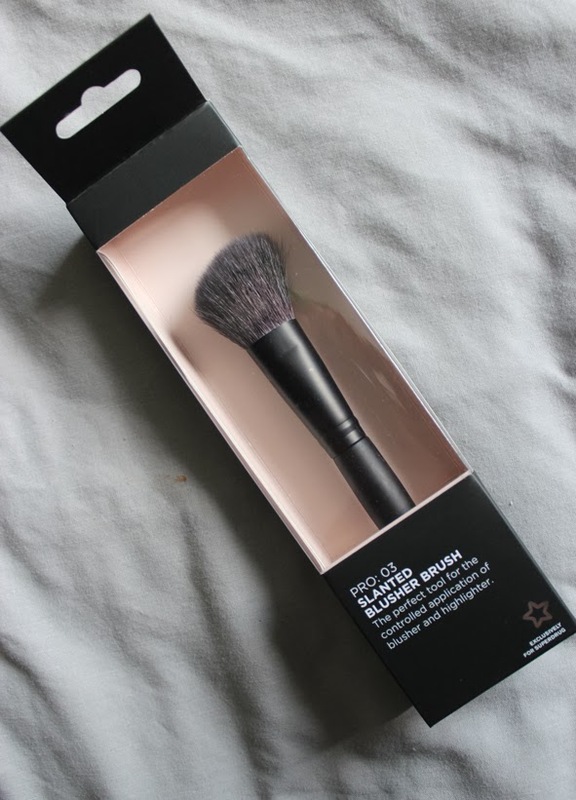 I also picked up a new Slanted Blusher Brush by Superdrugs own brand. What can I say - I needed a new brush to apply my new blushes! Makes sense right? This brush was £6,99. After Superdrug I went into a local beauty store called Blush Beauty Box (I found their online store so maybe check it out?). They sell a variety of beauty products from different brands, Sleek, Barry M, essie, Rimmel, theBalm and so on. 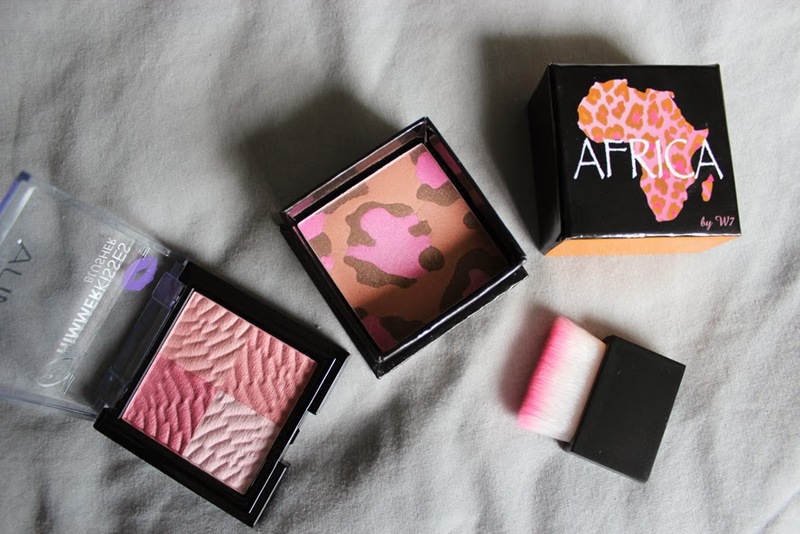 I came across a cute looking bronzing powder by the brand W7 called Africa. 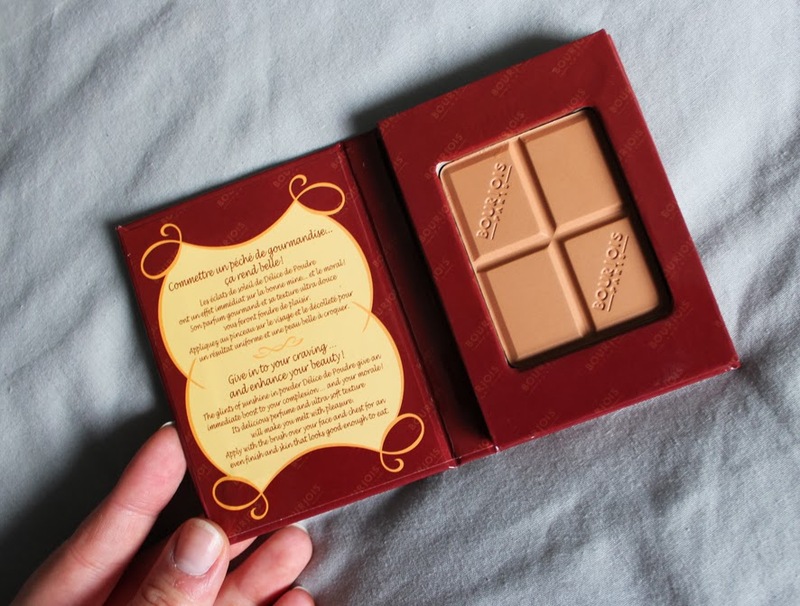 I've never heard of this brand before but I thought I'd give this bronzer a whirl as it was only £2,99. Let's see if I like it and will purchase more of their products! 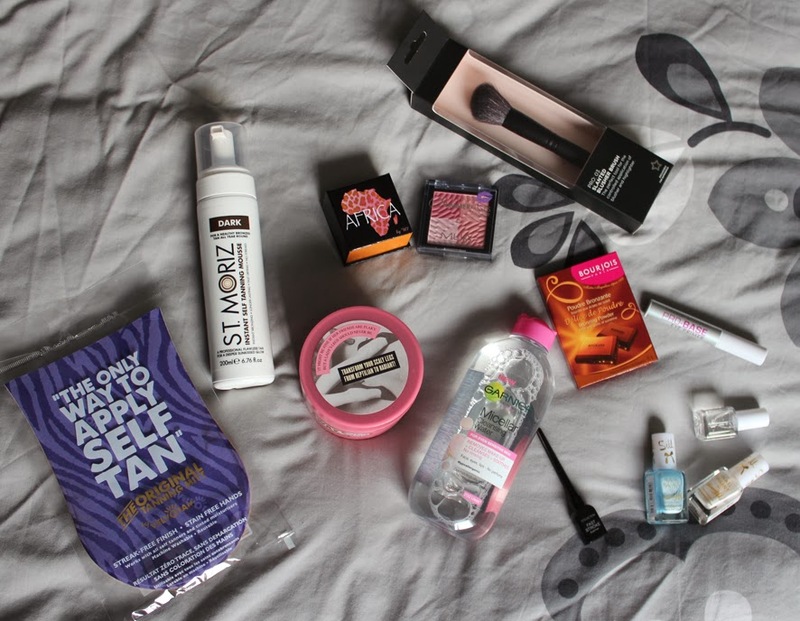 So those are all the products I picked up on my recent shopping trips! Wow this post feels like waaay to long! I hope you don't mind though and you enjoyed to see what I got. 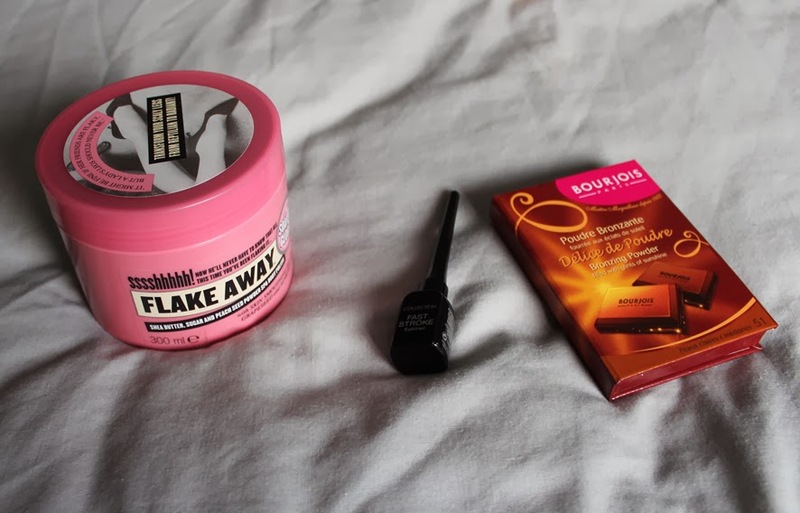 I love Haul blog posts because I love to see what other people get and just being nosey! I loved everything you got, especially that Africa bronzer. I also bought the micellar water recently! Yes they do! :) And the other colours from that range are equally as beautiful!